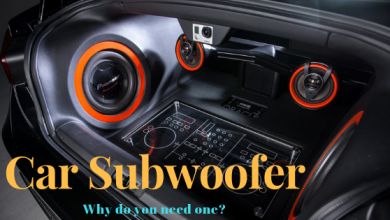 Break in subwoofer means the process of losing the components of the subwoofers to enhance its sound effects when they are a lot tight and stiff. The stiffest part of the subwoofer is its spider. Some subwoofers have multiple spiders. This process of Break in a Subwoofer results in a more powerful and quality sound. 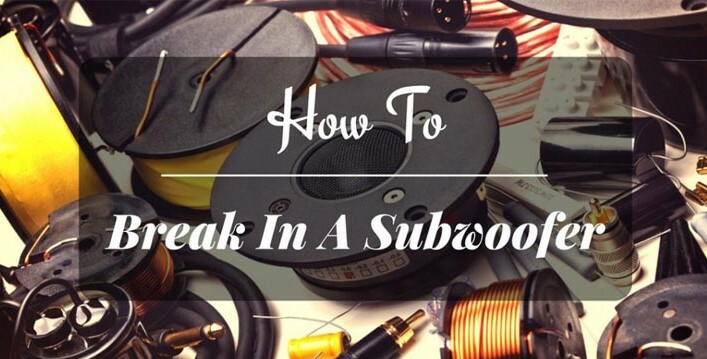 1 How To Break In A Subwoofer? 2 why do you need to break in a subwoofer? It is a good thing to break in subwoofers as they will surely enhance the quality of your subwoofer. Some people recommend that breaking in is not a good idea. In fact, the manufacturers also claim that you should not break in your subwoofers. In my point of view if your subwoofers have undergone a proper method of breaking in then its life span is increased. Whenever we remove stiffness from any device the things automatically goes in our favor. The tear and wear of the important parts of the subwoofers are reduced. This improves overall performance of subwoofers. So it’s good to break in the subwoofers. Some people think that breaking is not needed as subwoofers loosen up with time and you do not need to do it but my point of view is that if it is not impacting badly you should go for it. You should have some sort of tone generating device. In order to burn in your subwoofers .you can also use your mobile phone for this purpose. You also need a 3.5mm Jack which is able to connect your phone with the amplifier needed for your device. A surface which is strong enough to serve as an enclosure for your subwoofer system. An amplifier is a must for such type of procedure. Along with a decent amount of time. Of course, the breaking in of the subwoofer is a time taking procedure and you should have to be conscious about its time period. Well, you know that it is a tough job to break in the subwoofer. It takes a lot of patience. First of all, you need an enclosure for your subwoofer. It should be compatible with your device. It should not produce its own vibration along with the subwoofer vibrations and does not create noise. Finding a perfect enclosure is a good thing to get. Secondly, it should be able to get enough power from the amplifier and that power supply should be uncut. You should also keep in mind that you have to operate your subwoofers at low frequency for some period of time. After sustaining the subwoofer for some time you can slowly increase the volumes of your subwoofers and things automatically go into your favor. This will result in a louder and more powerful sound from the subwoofer with just a little adjustment in the settings. why do you need to break in a subwoofer? Cold weather is an important factor. If you are living in an area where the weather is cold or below 30 degree Celsius then it will take a lot of time to loosen up the suspensions and in fact, cold weather makes them stiffer so it is necessary to break in at such weather. When the power watt of your subs is too high then chances are there that it may burn out the stiffer coils of the subwoofers. The end result is the burning out of the subwoofers. If your subwoofer has undergone the method of the break in then it will be secured from the high powers and the danger of burning out is ended. 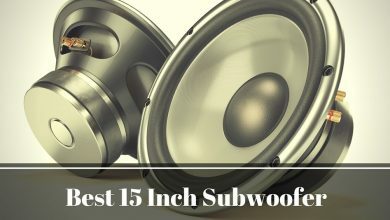 If your subwoofers are not very much expensive and quality is under-rated or average then they are much more brittle and it makes the subwoofer sworn out easily. Thus loosening of the subwoofers makes the suspensions of the woofers easy and thus things get under control soon. So it is a way you can increase the life of an average end product subwoofer and enjoy louder music on it. If you do not be able to perform the break-in of your subwoofer, It may cause the burning of the device or the coil. It is important that the uninterrupted signals are required for the proper function of subwoofers. If your signals are continuously distorted then the heating of the coil occur. This will burn your system quite easily. If a lot of pressure is applied on the suspensions of the subwoofers it may undergo the process of tearing. You should apply an optimum amount of pressure on your device so that it may withstand it. Its time intervals and frequencies are also an important thing to be noticed. You should gradually increase the frequencies thus it may not affect the working of your subwoofers easily. It is important to enhance the sound quality of subwoofers by breaking it in. This break in will increase the life of your subwoofers. The coil of subwoofers will be a lot secured when you break it in. Final Words About How To Break In A Subwoofer? Breaking in of subwoofer is quite an easy task to be performed and it has a positive impact on your subwoofers. The wearing and tearing of your system is decreased if you timely break in the subwoofers. It is quite easy to do so and the function is also enhanced. If you are a true music lover then you surely know the positive impact of loud music on your lives. I have explained the entire process and today’s questions, How to Break In a Subwoofer? is answered. The proper breaking of your subwoofer not only produces great louder sounds but also the bass is increased. Feel free to contact me if you have any questions.